What is a W-2 worker? 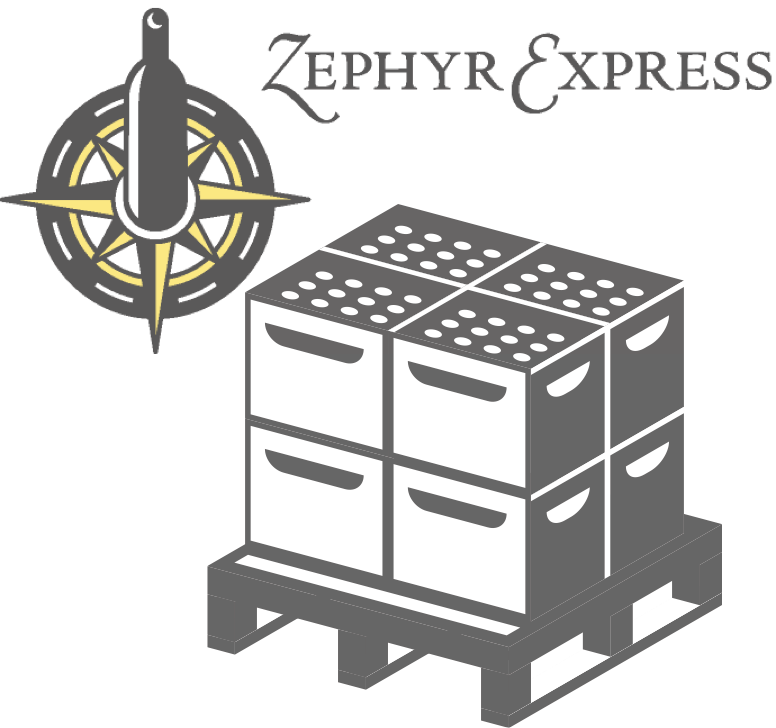 A W2 worker is an employee of the company he or she works for, not an independent contractor (a 1099). 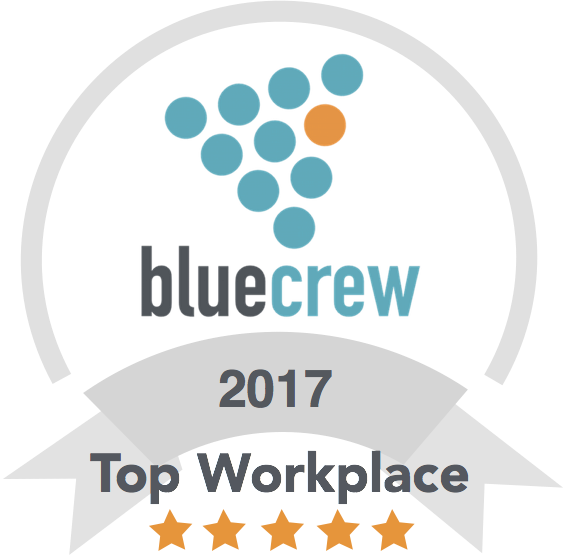 BlueCrew hires everyone as a W2 employee so that we are able to keep all our workers fully insured, fully IRS compliant, and ensure all our workers keep as much money as possible at the end of the day. 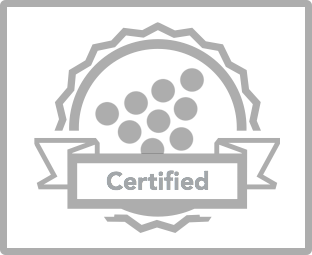 All of BlueCrew’s workers are fully onboarded, insured W-2 workers. 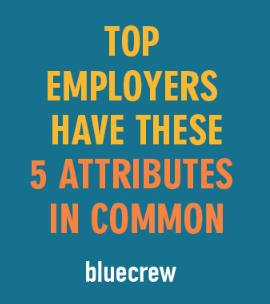 This means that when you work for BlueCrew, you are protected by the full range of non-discrimination laws, wage and hourly laws, and workman’s compensation insurance, which is not provided to 1099 employees. If you accept a job as a 1099 contractor, you are responsible for paying taxes on all your earnings at the end of they year. Many states require you to make quarterly payments on your earnings, and any 1099 worker who is found to be in violation of the tax code is subject to auditing and additional fines imposed by the IRS. A W2 worker does not have to worry about quarterly filing, being audited, or any additional fines because government taxes are deducted from each paycheck. Every 1099 worker must pay a self-employment tax (15.3% of all earnings) as well as standard income tax. 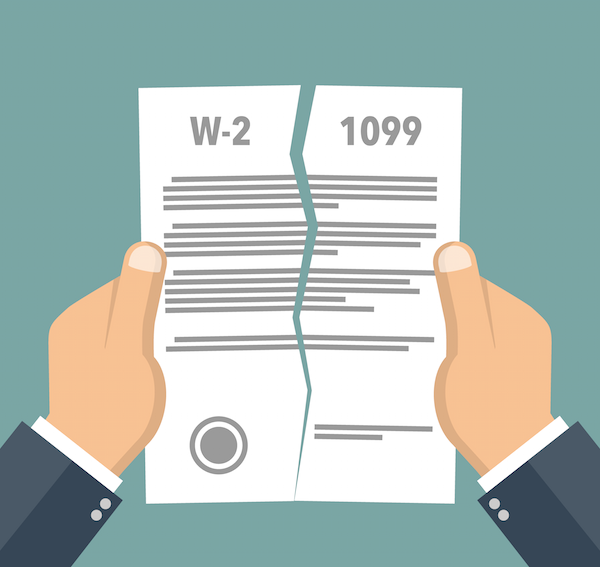 It may seem like a 1099 contractor is making more money at first, but 1099 employees often end up paying 7% more in taxes to the federal government than a W2 employee at the same wage. 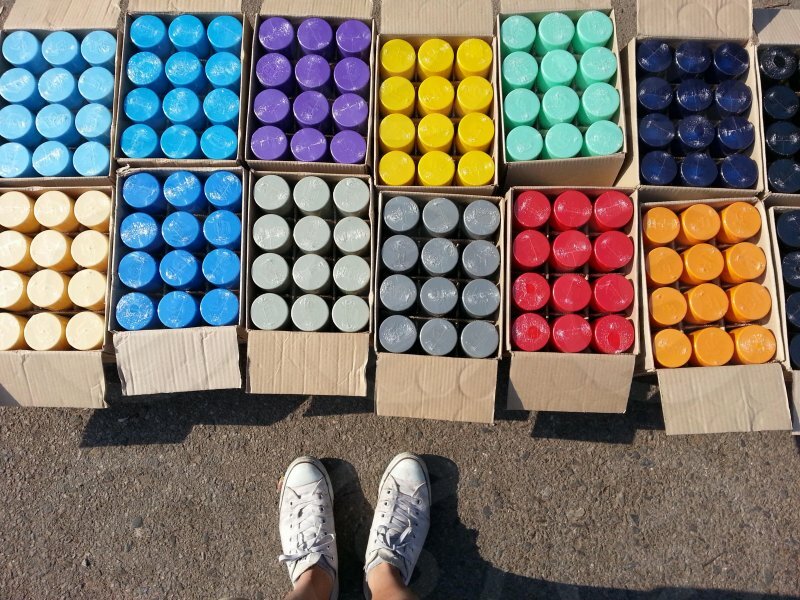 BlueCrew believes that everyone who wants to work, should be able to work. We also happen to believe that the highest possible percentage of your earnings should stay with you. BlueBuggy: Supercharged Interviews On The Go! 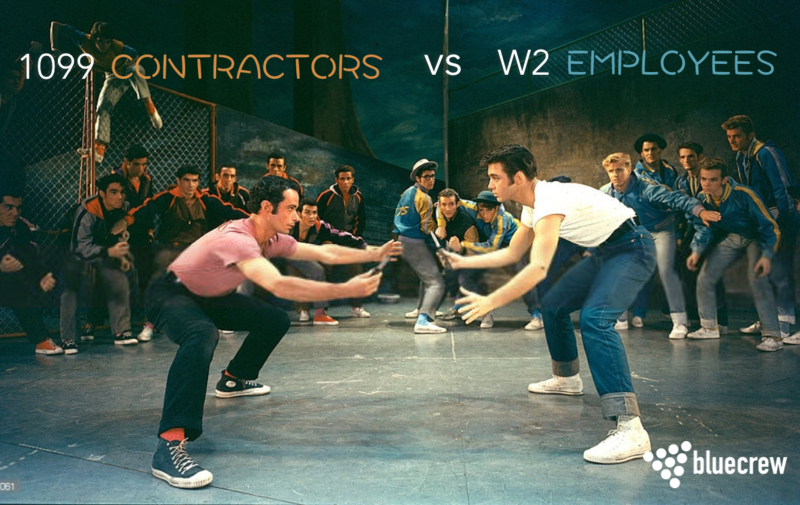 W2 Employees or 1099 Contractors? How this California Supreme Court Ruling can affect your business. 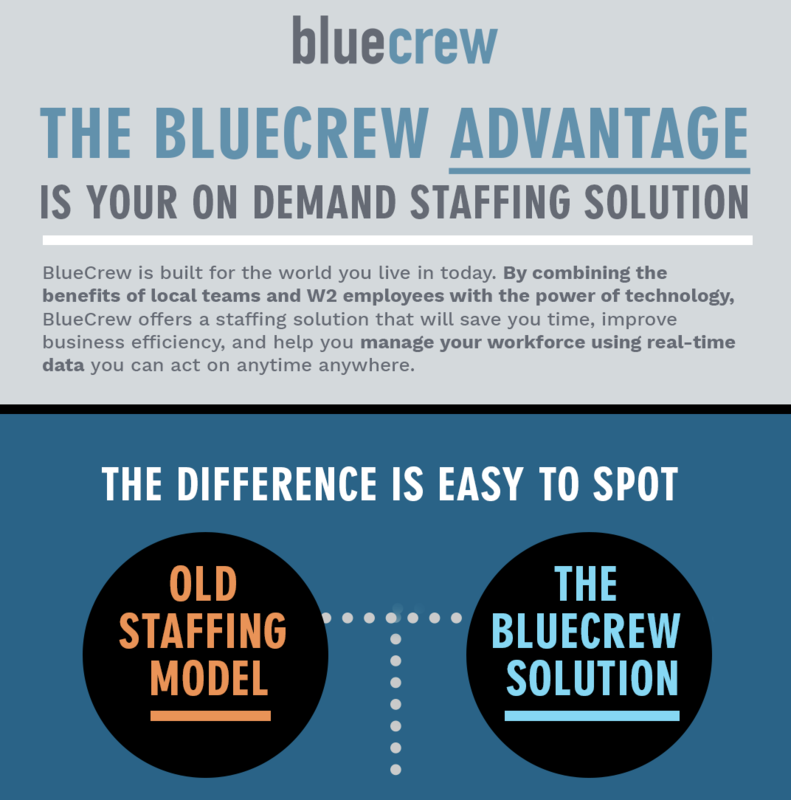 Join the BlueCrew team to start accepting job offers straight from your phone. 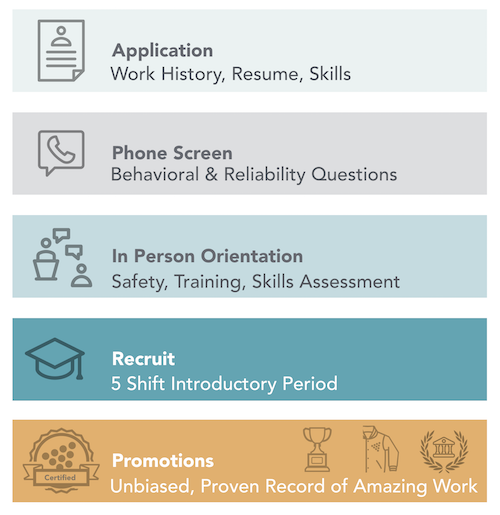 BlueCrew connects you directly to employers to find you jobs that fit your schedule and passions. Work with us and grow your resume while you work and make money!